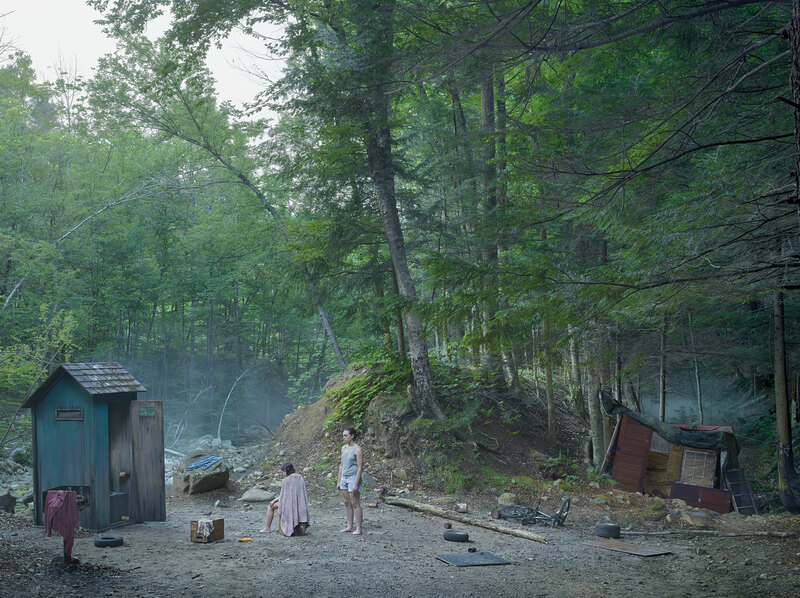 Cathedral of the Pines is the latest body of work by American fine art photographer Gregory Crewdson. His photographs are both dramatic and cinematic. While his images often capture what appear as disturbing or surreal real-life events, they are in fact carefully staged and lit using motion picture film equipment and techniques. This series, mark a time of transition for Crewdson, including the end of his marriage and a retreat from New York to a remote home and studio in western Massachusetts―a period of time during which Crewdson chose to remain socially withdrawn, instead committing to daily, long-distance, open-water swims and cross-country skiing on wooded paths. Cathedral of the Pines is named after one of these trails.